Atari has announced that it has partnered with "Legendary Game Designer" Jeff Minter to reboot the adrenaline pumping Tempest sci-fi tube shooter. Tempest 4000 is "a visually stunning, action-packed shooter based on the classic arcade game, Tempest," and will be launched on current gen consoles and PCs in time for Xmas. The game is said to be faithful to the original fast-paced gameplay but include 4K graphics, multiple new game modes, and a retro 90s techno sound track. "Just as in the original game, players are once again in control of the Claw, a powerful spacecraft equipped to destroy deadly creatures and other obstructions with rapid-fire shots on vibrant geometric prisms. With three game modes to choose from and 100 levels to conquer, players must eliminate all enemies as quickly as possible to survive, aiming for the coveted spot at the top of the leaderboards." Some might be surprised to see Jeff Minter team up with Atari again as their previous collaborative effort left Minter feeling rather sour. 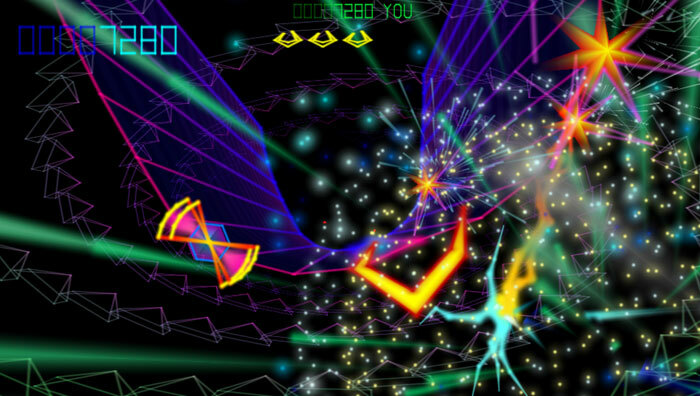 Eurogamer reports that TxK, which Minter calls a "distantly related sequel" to Tempest 2000 was limited to the being a PS Vita exclusive, and the game designer stated he felt "beyond disgusted" with Atari (that was in 2015). In the Tempest 4000 announcement Minter and Atari appear to be buddies again. The veteran developer said "I am very happy to work with Atari again to bring a long-awaited sequel of Tempest to our legion of fans and a new generation of gamers worldwide." Meanwhile Atari COO Todd Shallbetter said that the company was "thrilled to be able to work with Jeff Minter again, someone who is a legend in the industry and has made a huge impact on the history of video games". As mentioned in the intro, Tempest 4000 is heading for modern gaming platforms in time for Xmas. However, you will be able to see more of it during Gamescom which runs from 22-26th August. Ruminants circulating that he's just “ ‘avin’ a giraffe, mate” moose have been fallow words of yakking cows trying to get your GoatUp… All that just Deflex off the topic at hand though, and while I'm no Defender of reboots, it'd be nice if they pull this one off. Stand by your llama, Player 1.
if jeff bought out a vr version..